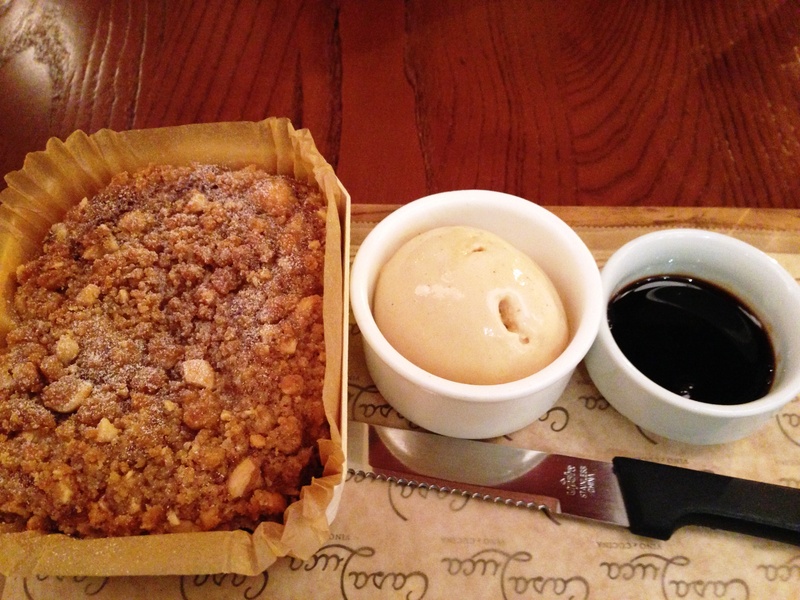 Can we pleeeeease stay for dinner at Casa Luca? After Fiola‘s glowing success, the Trabocchi family aimed to create a less formal dining experience with their second DC restaurant, named after their son Luca. A side effect of the share-friendly menu, which features flatbreads, cheeses, and small bites, is that vegetarians have more options right off the bat. 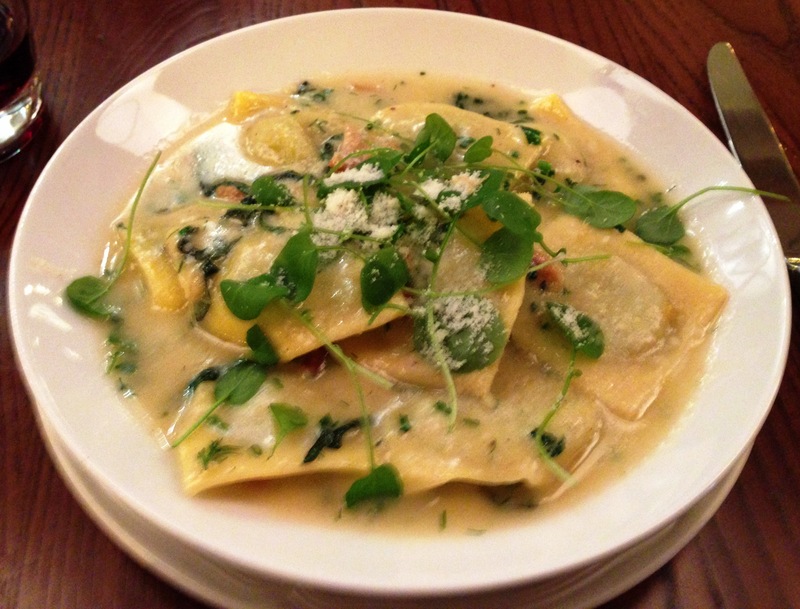 Also, unlike Fiola, at least two of the changing pasta selections are usually meat-free (this week there are three!). Although Fiola will prepare vegetarian pastas and risottos on request, it’s nice when a chef puts effort into creating these items for the regular menu. I’m a sucker for Fiola salads and was glad to find that Casa Luca’s have the same magic. 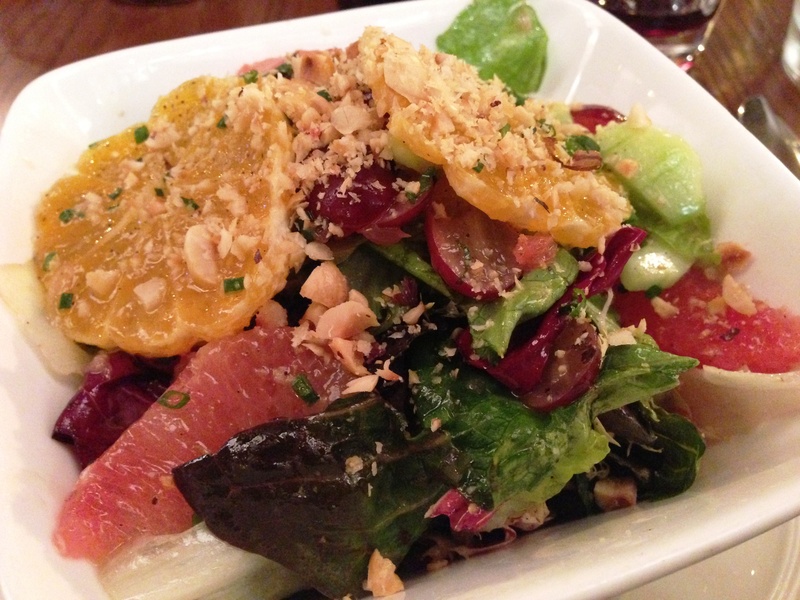 Candy-sweet grapes, grapefruit, hazelnuts, and crunchy slices of cucumber were served atop perfectly dressed baby greens. 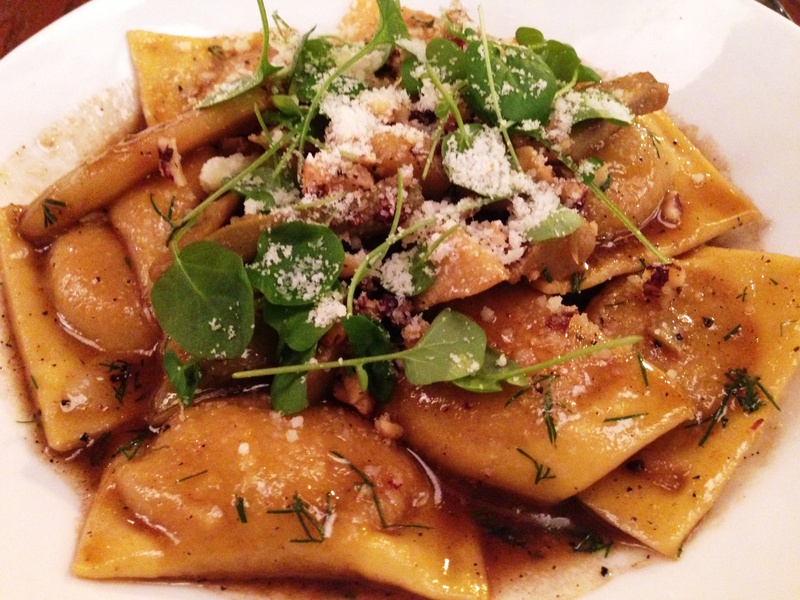 Butternut squash agnolotti with brown butter was another example of How Things Should Be. Nothing crazy, just the right flavors and textures in the right mix. 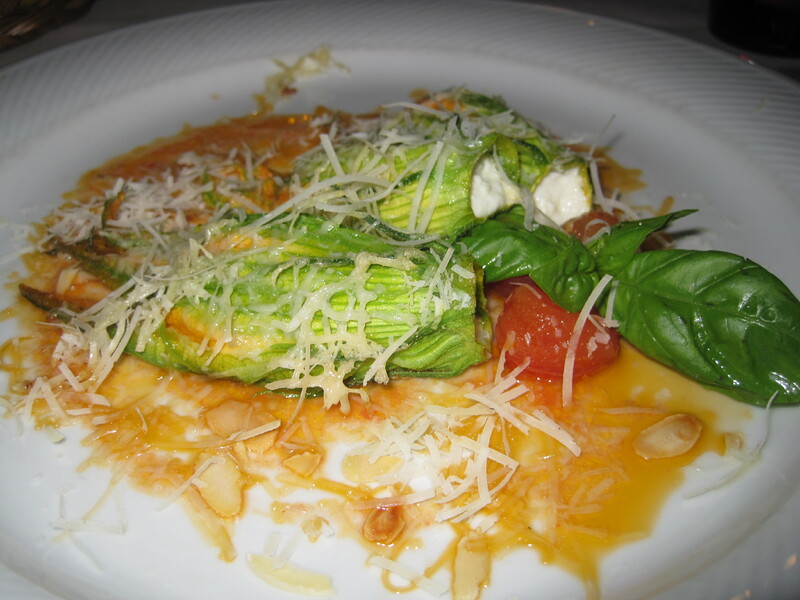 The filling was just sweet enough to be balanced by salt, herbs, cheese, and slivered artichokes in the sauce. All the other squash and brown butter wannabes should take note. Ravioli San Leo with ricotta, greens, lemon, and almonds was also well done – we especially loved the lemon sauce – but the herb mixture included something medicinal which overwhelmed the delicate citrus and ricotta combination. One bite of warm cake with melting gelato and that fantastic wine reduction and we were racing each other while trying to savor each mouthful. 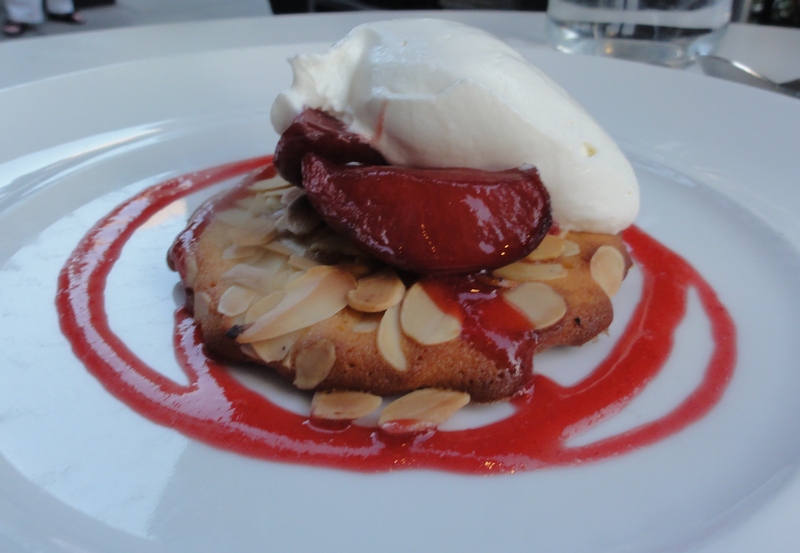 Tart, syrupy vin cotto might be my new favorite sauce – imagine if port and caramel got jiggy with each other. A number of Italian restaurants around town could take lessons from Fabio Trabocchi’s focus on quality ingredients and no-fuss, yet sophisticated, compositions. 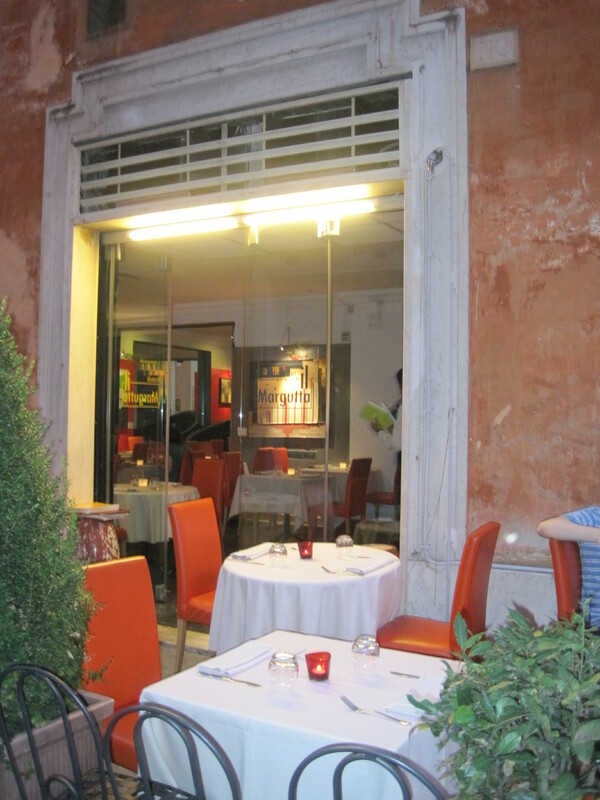 And while nothing beats Fiola’s elegance for a special occasion, Casa Luca’s lower prices, quieter atmosphere, and bigger vegetarian menu make it perfect for a spontaneous night out. If this is what it means to stay at Luca’s house for dinner, he must be one popular kid. 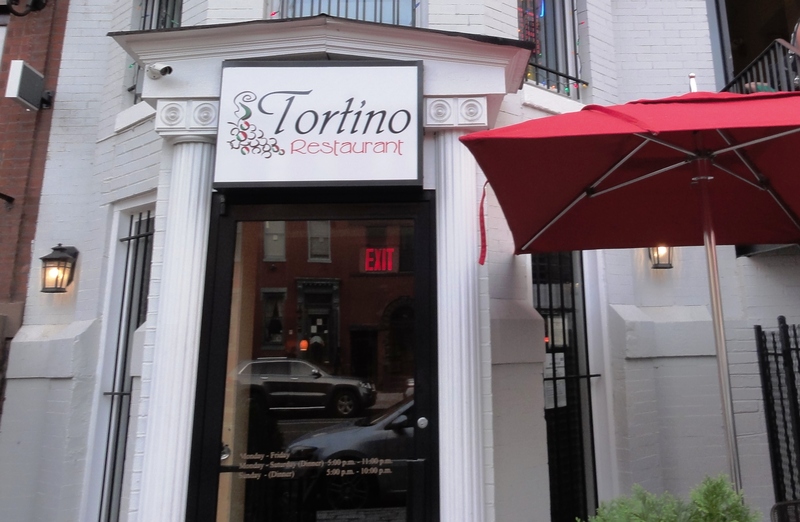 In a city awash with Italian restaurants, Tortino near Logan Circle scores a whopping 4 1/2 stars on Yelp, with rave reviews of perfect pasta and fantastic service at a reasonable price. Naturally, we were excited to visit. The service is certainly friendly. Everyone from the hostess whose first words to us were ‘This is your first time? You’ll definitely be back!’ to our server to the guy who unclogged our salt shaker was solicitous and eager to help. 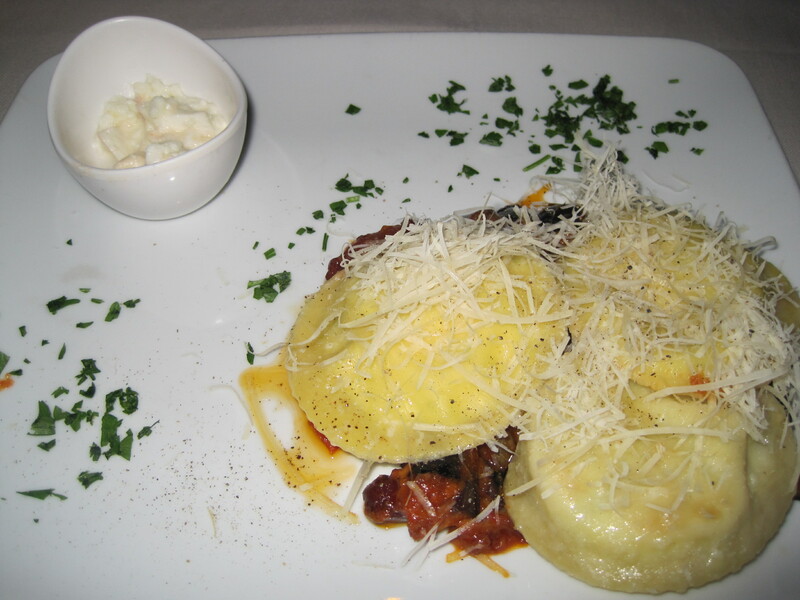 The menu offers a number of options for vegetarians: some salads, gnocchi with basil pesto, butternut squash ravioli, mozzarella ravioli, linguini with cherry tomatoes, and spinach pappardelle with mushrooms in cream sauce (minus the chicken). Gnocchi served with cherry tomatoes and pine nuts was memorable in that it reminded me of lazy weeknights shopping in my freezer for pesto cubes and Trader Joe’s frozen gnocchi. Not bad, but not what I want to eat while wearing anything but pajamas. Unfortunately, we fared even worse with butternut squash ravioli with brown butter and raisins, which even the most comfortable of pj’s wouldn’t make palatable. While brown butter is a beautiful thing, it can’t overcome the epic battle that burnt garlic and raisins wage against each other over the taste buds. Bitter garlic infused the sauce and managed to clash with the sweet squash filling as well. Although we weren’t full, we cut our losses at this point and chose the check over dessert. There were a couple of other unpleasant aspects of our visit that didn’t help. One side of the restaurant smelled like sewage and the air was damp, leading us to wonder if there’s a leakage or moisture control problem (or both). 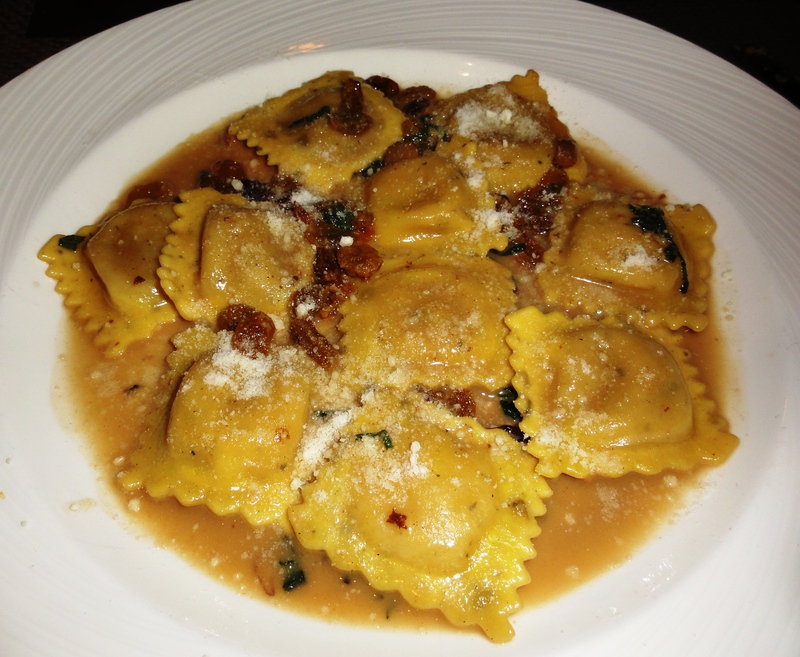 We had to send the first order of ravioli back after finding a stray piece of prosciutto in it. 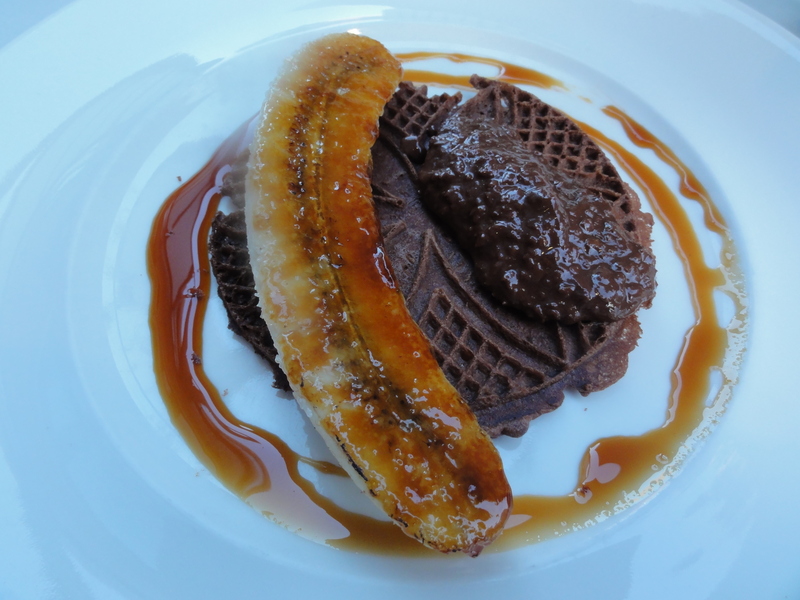 Still, this would all have been forgiven if at least one of our dishes was satisfying. But when we don’t bother to take home leftovers, we’re not coming back for more. In my searches for vegetarian recommendations in Italy, the two restaurants that came up every time were Il Margutta and Arancia Blu. 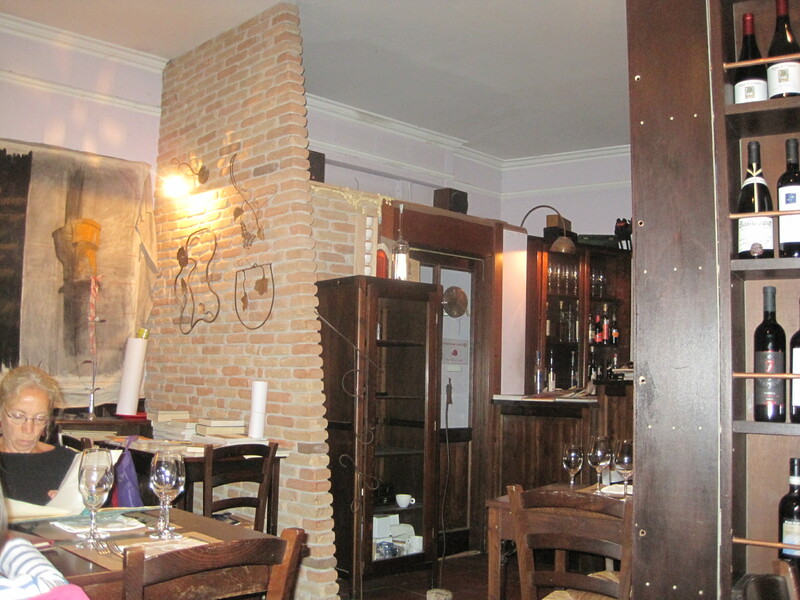 So, on our third night in Rome, we ventured out on a No. 14 tram far outside the city center to the ‘hood to find it. Don’t worry though; there’s really no need to go there. 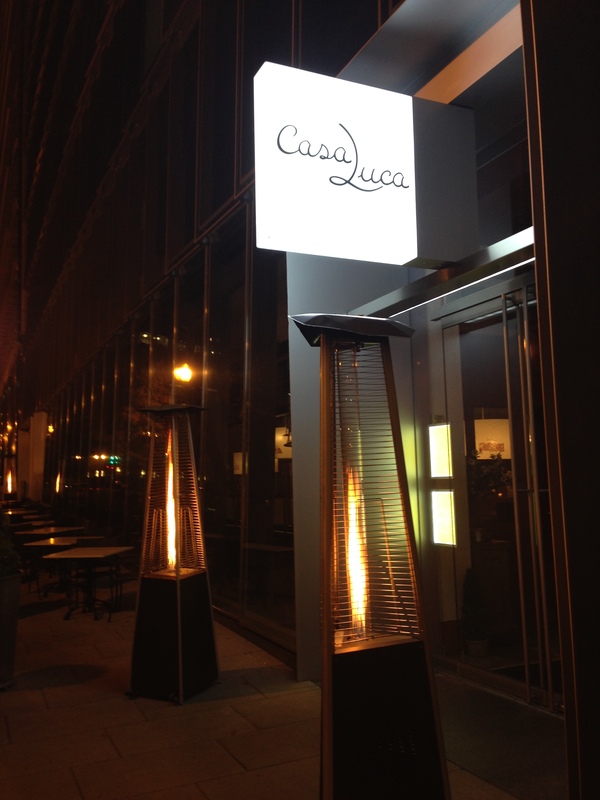 It’s not the service – the staff were quite attentive and friendly. It’s the food. 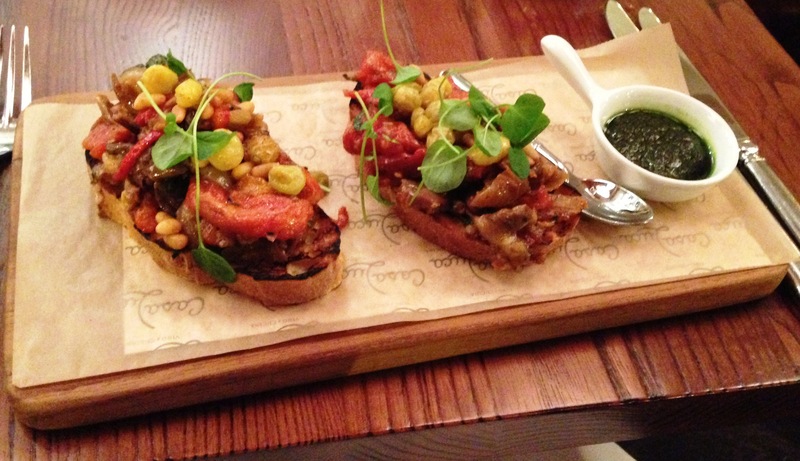 My theory is that they are trying too hard to prove that vegetarian food can be fancy and filling. They seem to try include as many concentrated flavors in each dish as possible, without regard for balancing heavy with light and mild with pungent. 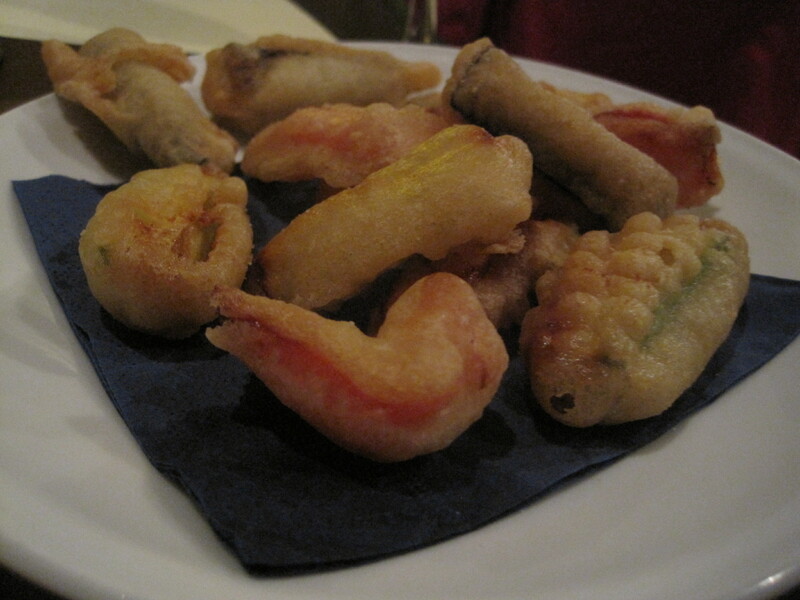 To start, our very kind Swiss server asked if we’d like to try the fried vegetables. We agreed as we were both quite hungry. My appetite began to fade when instead of the crispy bites I had imagined, we were presented with this plate of stale, grease-laden sadness. 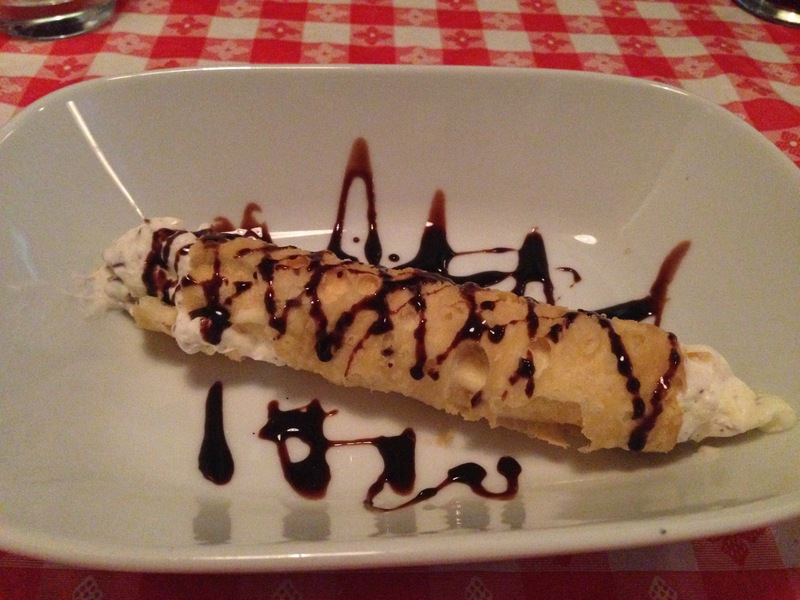 No need to give up, though, I thought, as I perused the menu of first courses and pasta (pictured here, though somewhat blurry). I decided on the spaghetti with red pesto. The menu listed the pesto ingredients as sundried tomatoes, extra-virgin olive oil, garlic, parsley, basil, pistachios, and aged goat’s milk ricotta. That’s an impressive list, and I should have guessed it would be overwhelming. On top of all of this, something in the dish was smoked. I wish I’d been forewarned as I’m really not on board with that. The spaghetti itself was quite hard, but that might just be the way it’s done. 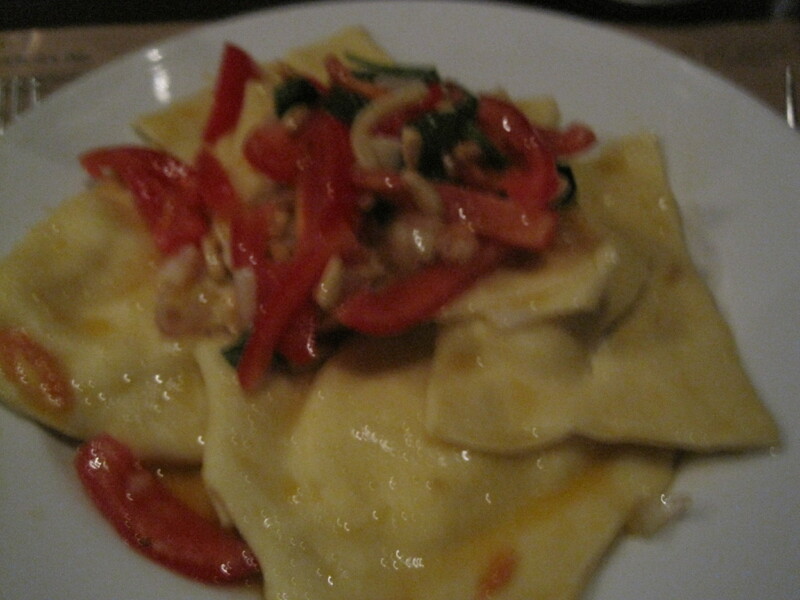 Eric was smart enough to choose the one good dish we ordered: the buffalo milk ricotta ravioli with tomatoes, scallions, pine nuts, and olive oil. You can’t lose when you keep it simple and use the best ingredients. We were already full by this time, but I think we both took pity on our server, who had just moved to Italy and was struggling with both English and Italian (we tried to remember some of our German for her sake). So, we made selections from the second course menu. 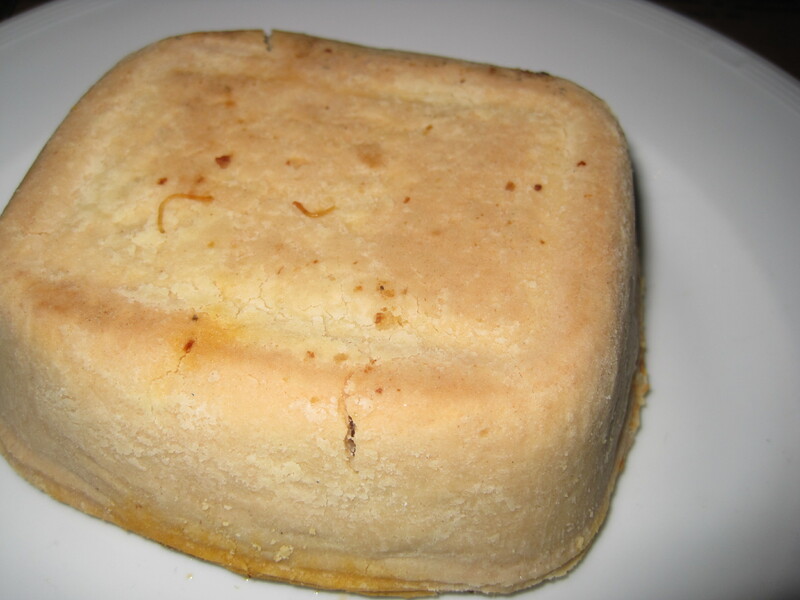 It looked like a frozen pot pie, which is a pity considering the hard work that likely went into it. 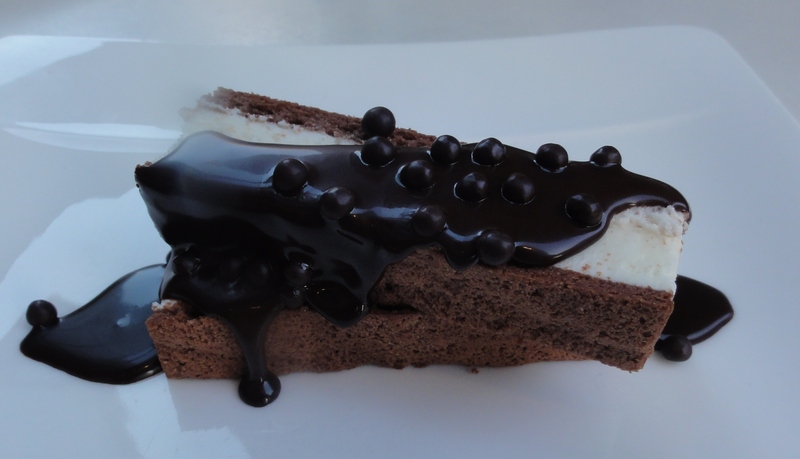 The pastry was bland and too thick, and the filling was just an odd combination of textures. Not hating, just saying, as I’ve definitely done the thing where you cook all day and produce a flop. 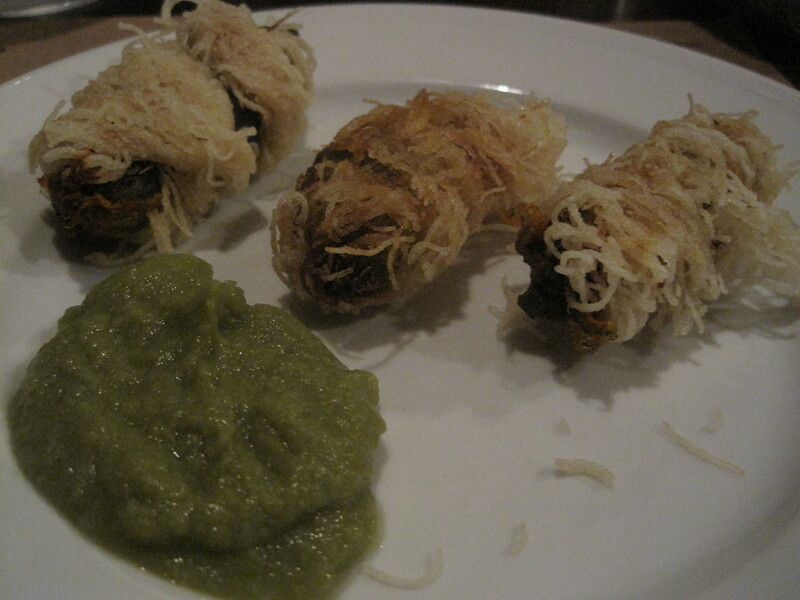 I ordered the stuffed courgette flowers, since I can’t resist squash blossoms if I see them on a menu. They were stuffed with “potatoes and pesto and rolled in crisp spaghetti of rice and sauce with string beans and with mustard.” The sauce was ok and the filling was pleasant, but again, the fried stuff seemed stale. Do they fry it all ahead of time and re-fry to order? I also would rather have tasted the squash blossom rather than having it covered in tough, chewy strands of rice pasta. Eric wanted to order something from the dessert menu and chose the lemon sorbet. 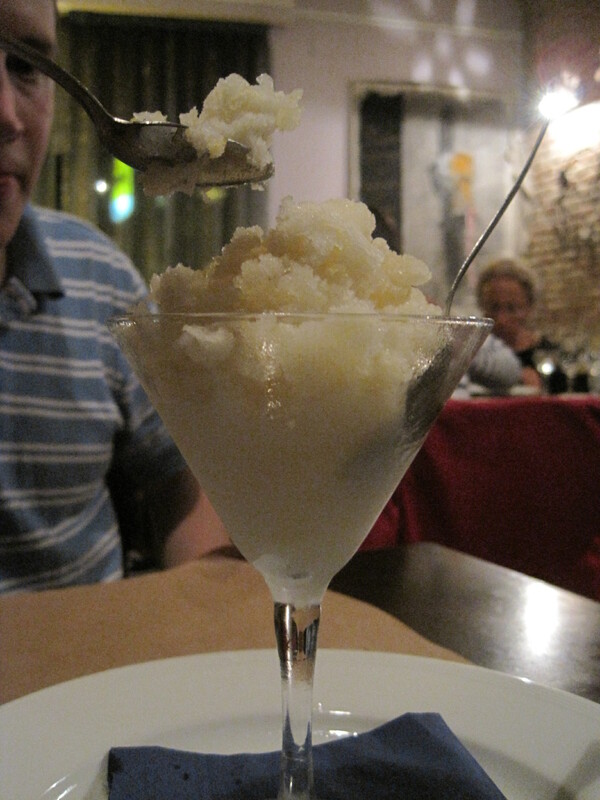 It was intensely tart and a bit sweet, as lemon sorbet should be, and made me feel a little better about life. So, if you do plan to visit Rome, I hope I’ve saved you a trip to the outskirts. Trust me, go to Il Margutta instead. Of course, I’d done some research before the trip. 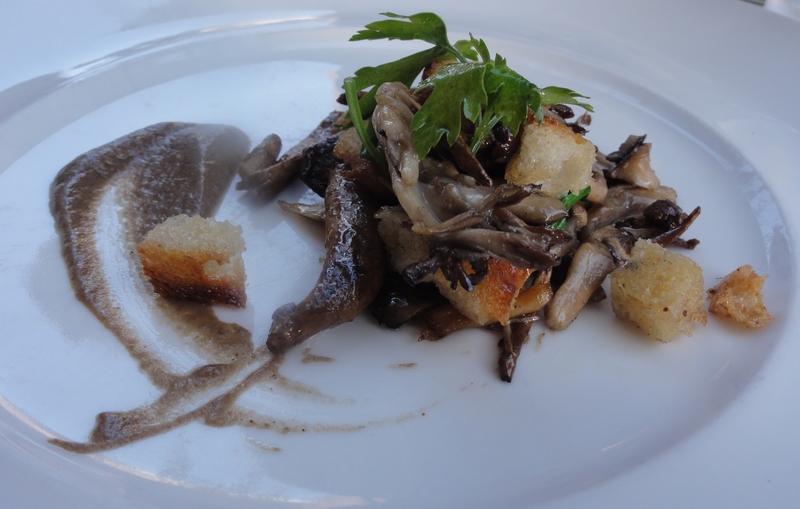 All sources (including Alberto at the Country House Montali – reviews coming soon!) 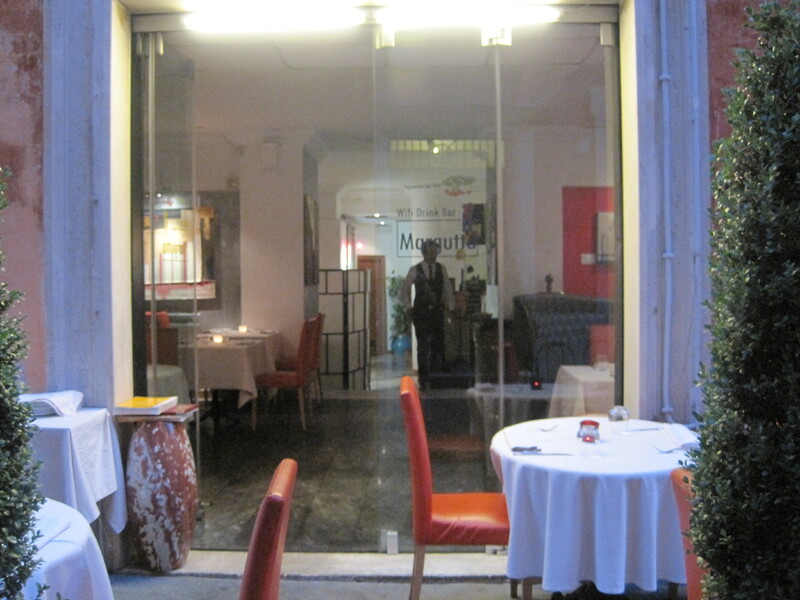 pointed me to Il Margutta Ristorarte, an upscale vegetarian restaurant near the Spanish Steps, so after landing and getting our bearings, we set out to find it on the artsy Via Margutta. Now, I’m normally an indoor cat, but the weather was too perfect to sit inside. We chose a table on the patio in front, where tall potted plants rustled in the breeze. Our server came to introduce himself and started what I’m sure was his usual disclaimer – “you know this is an all-vegetarian restaurant, right?” He was delighted to find that I was all-vegetarian as well. As vegetarians, we mentally grey-out most of any menu we get in a restaurant, so it can be overwhelming when every item is an option! Vegan and gluten free menus are included as well. I was tempted to get the Menu Gourmet (see page 7 on this menu; ours was different as it changes seasonally) but Eric wisely pointed out we should take it a bit easy on our stomachs after the long flight. I guess I’ll have to order it next time, when I’ll have Meera with me (this must happen, Meera). 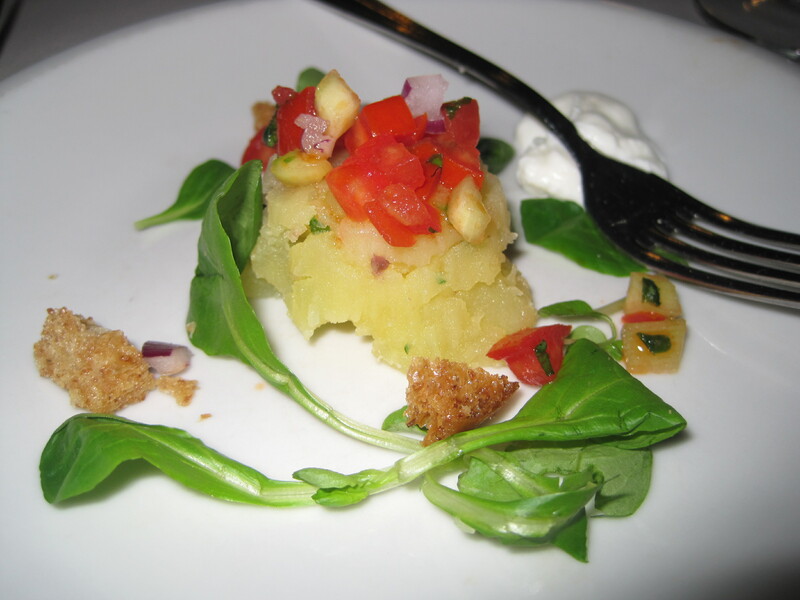 While we were deciding what to order, our server brought out the chef’s complimentary amuse – a delicious and tiny potato, tomato, red onion and arugula salad with a dollop of strained creamy yogurt and whole wheat croutons. Of course, we had to try the squash (courgette) blossoms, stuffed with Ricotta cheese, thyme & toasted pine nuts. I’d always had squash blossoms fried before, but these raw flowers were tender and refreshing. Yes. I was eating flowers. In Rome. Still not over it. 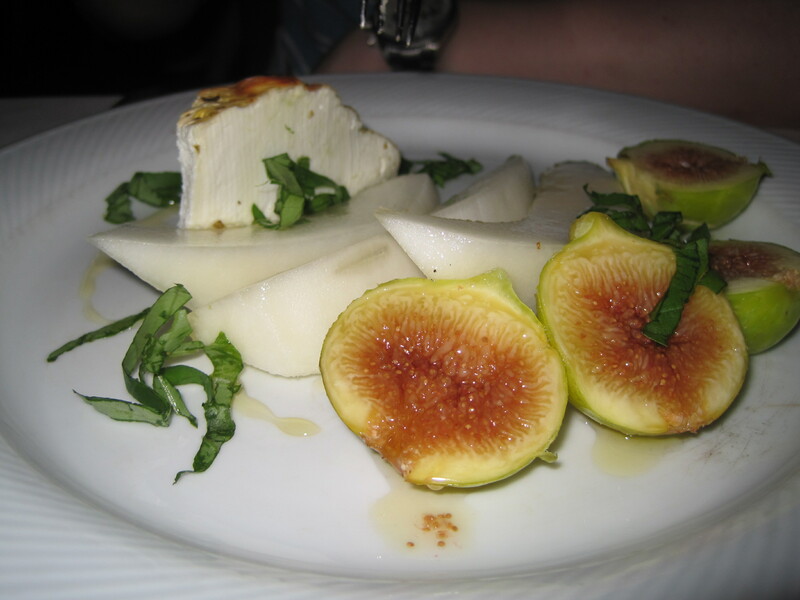 Next came the chilled fig and melon platter with baked ricotta cheese & honey. Italians don’t seem to think you can have too many kinds of cheese in a meal (not complaining here) and the figs were just bursting with their unique sweetness. 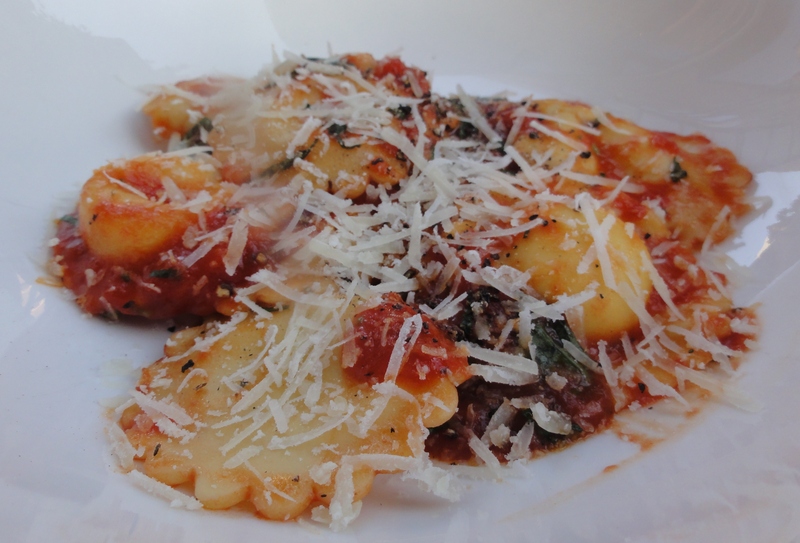 For my secondi piatti, I had ricotta ravioli on top of a melt-in-your-mouth tomato and eggplant sauce. 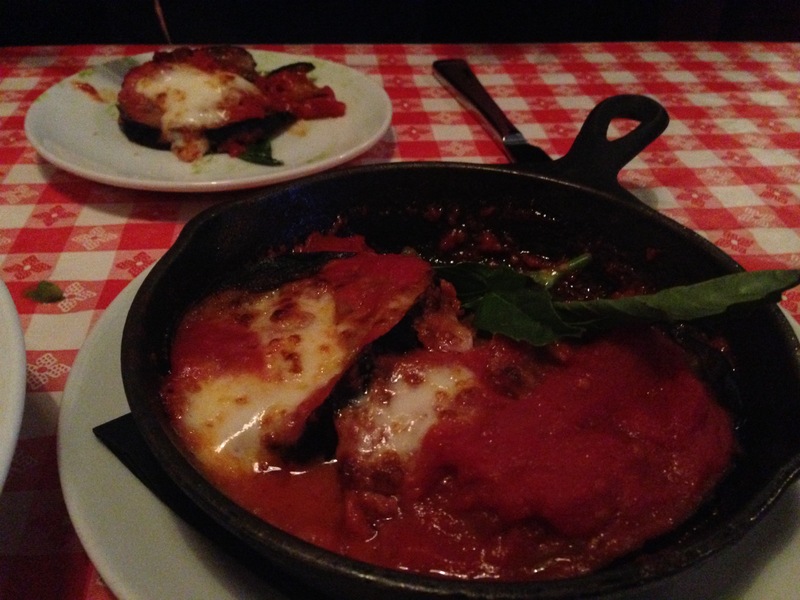 Yes, that is a little cup of burrata on the side, and I hate to admit I could not finish it. I did savor every last bit of that eggplant though. 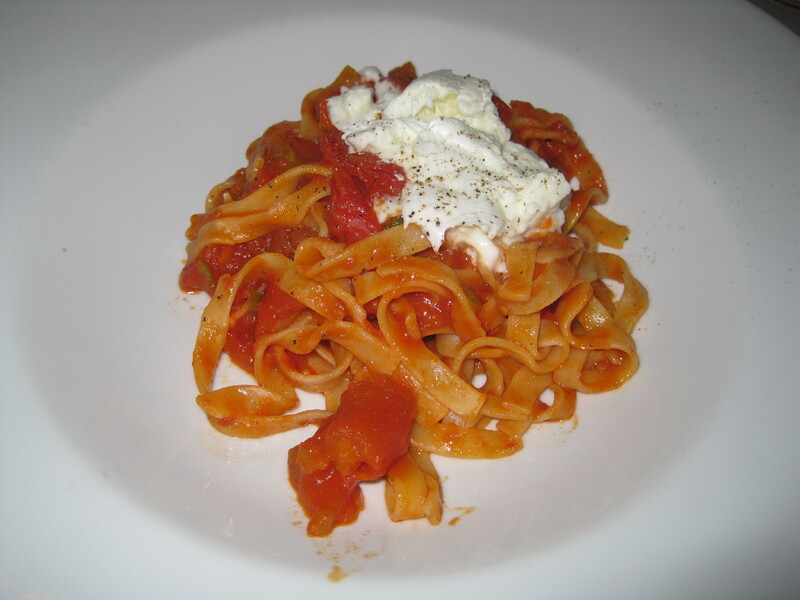 Eric ordered the fresh tagliatelle with a tomato & basil sauce with mozzarella di bufala & spicy peppers. 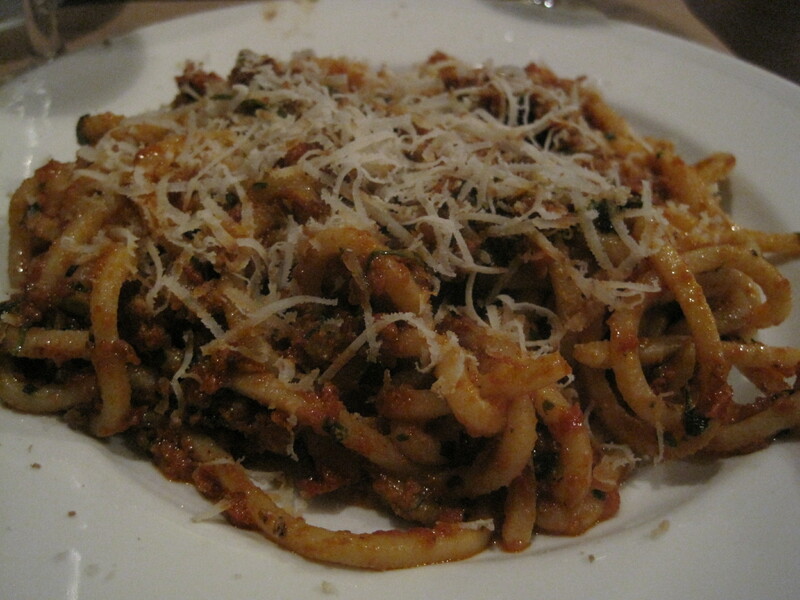 The pasta was perfectly al dente and the sauce flavorful but not overpowering. Alas, there was no room for dessert, but like I said, I am determined to go again! Don’t miss it if you ever find yourself in Rome. Eat there twice if you can. 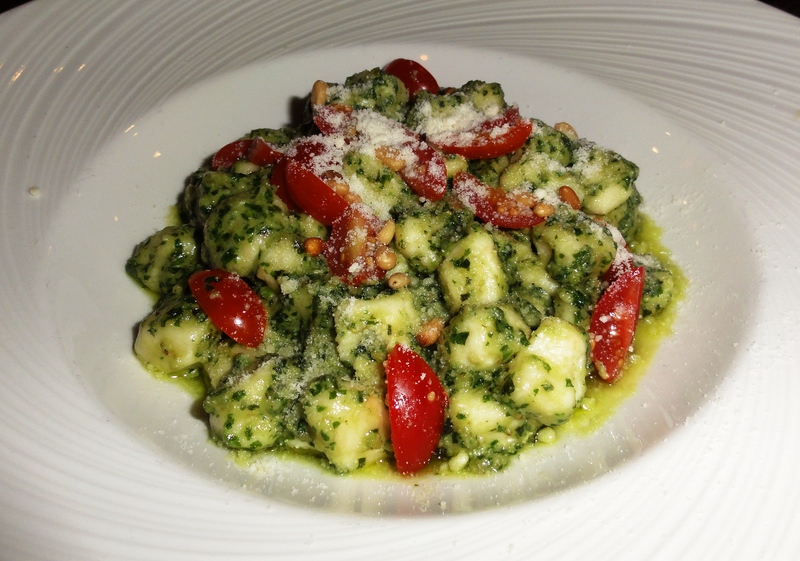 Pasta Mia: just say gNOcchi? I have a dining dilemma. I am perfectly willing to jump through hoops for a good meal. For 3 years I cheerfully tolerated all of Pasta Mia’s rules (line up with no wait list, cash only, whole party must be present to be seated, no substitutions) and idiosyncracies (staff who tried to sell us iPhone apps and Italian vacations while we ate) because the food was worth it. 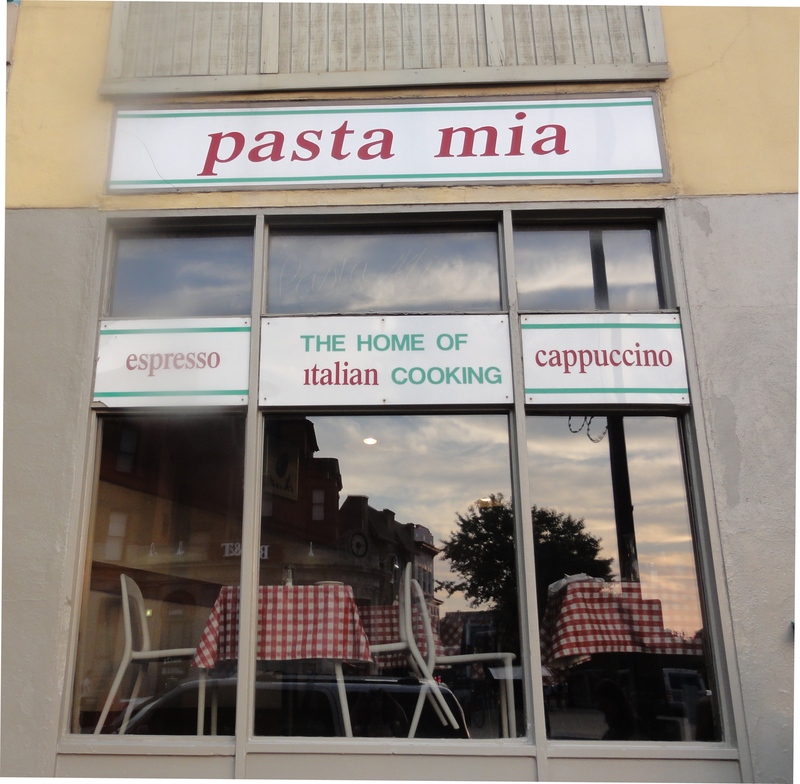 Unfortunately, my last two experiences at Pasta Mia were akin to actual nightmares. First, after a hapless waiter spilled cream sauce all over my companion’s new wool coat I was dragged back to the kitchen and accused by the owner of making the story up. Second, and WAY worse, I was full-on screamed at by the same owner for several minutes in front of the entire restaurant because a different hapless waiter messed up my order and brought me meaty bolognese, which I deigned to send back. Yes, you read that right. Yelled at twice because of mistakes made by the staff. Needless to say, I haven’t been back. Shameful to say, I’m considering it. Here’s the thing: over these 3 years, Anupama and I have crafted the perfect experience at Pasta Mia. The kind of meal that we anticipate for weeks, that makes us roll our eyes in ecstasy, and that we hesitate to include others in lest they try to mess with perfection. And, until Coat Night followed by Scream Fest, I thought we had beat the system. We laughed at the suckers who showed up right after the first seating. We shook our heads at couples who both ordered cream sauce. We scoffed at those bravely waddling their full bellies and fuller leftover containers out to the bars to meet post-dinner obligations. 1. Show up at 6 pm (5:50 on Friday or Saturday) or 7:40. Bring cash. Anupama has been known to also BYOB – bring your own butter – because she prefers it to the olive oil they give you with bread. 2. 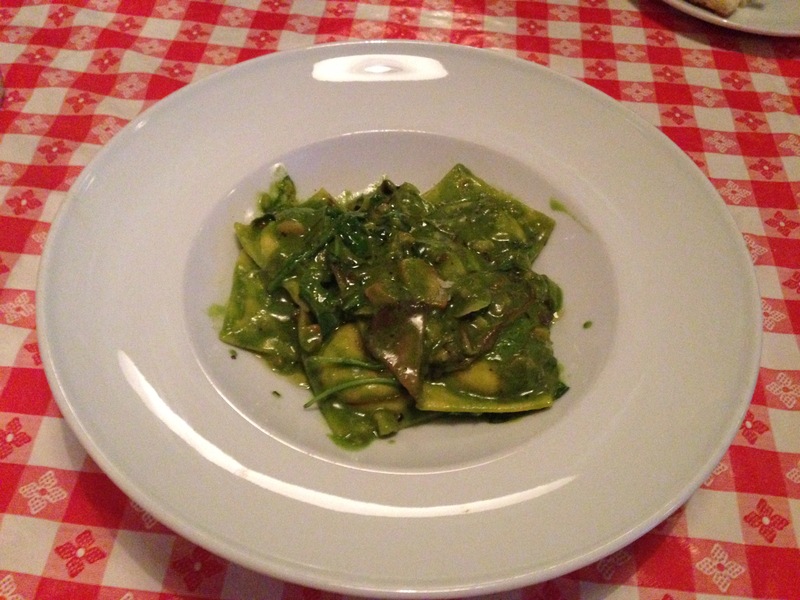 Order the spinach and cheese ravioli with pesto (it’s mostly chunky tomato sauce with a dollop of pesto), the gnocchi gorgonzola, and a huge side of broccoli done just right. 3. Talk now because conversation will end as soon as your food arrives. 4. Alternate between bites of pillowy yet bouncy gnocchi, broccoli soaked in creamy gorgonzola sauce (it’s like you get fondue and pasta in one), and zippy ravioli. Make slightly inappropriate sounds of appreciation. 5. Ask for the leftovers split between two boxes so each of you gets the perfect combo for your next 3 meals. Which averages to $8 per meal. Which is pretty awesome. 6. 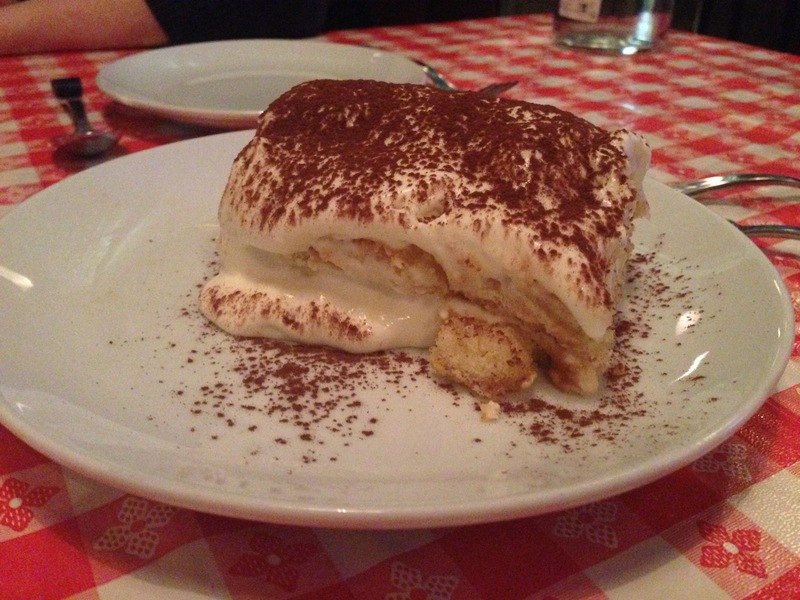 Optional: Make a bite of space for tiramisu (don’t worry, you’ll get another box). I’ll admit I’ve only managed this once or twice for a special occasion. The cream is lovely and thick and just slightly sweetened. 7. Roll on home to digest. Now you know. But the problem remains: there is no controlling for the truly terrible ‘service’, even for the most law-abiding patrons. On a good day, the waiters, apparently fearing their own shadows (who can blame them? ), fly so far under the radar that they are practically invisible. And on a bad day – bad meaning that the smallest thing doesn’t go according to plan – well, we already covered that. So what do I do? Abandon one of my favorite. meals. ever. or continue to support this mini-dictatorship while risking further abuse?